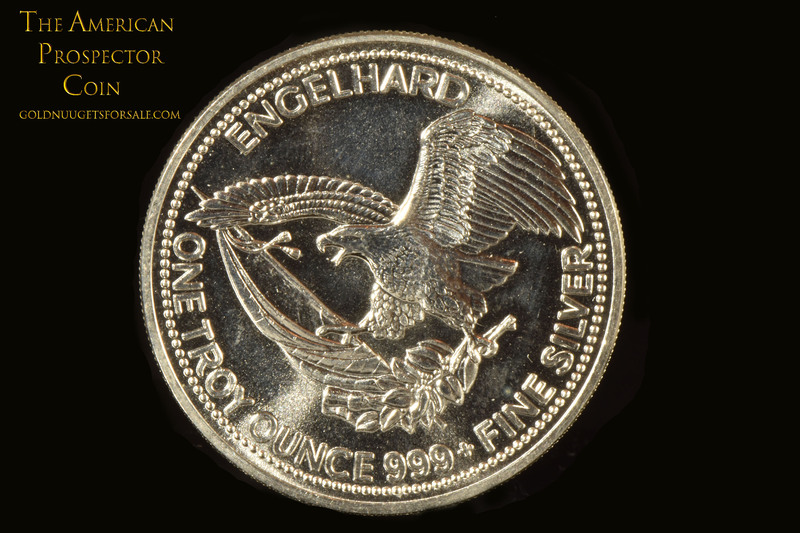 A very unique collectible silver coin entitled "The American Prospector". It has a gold-panning Prospector on the front and an American Eagle on the back. 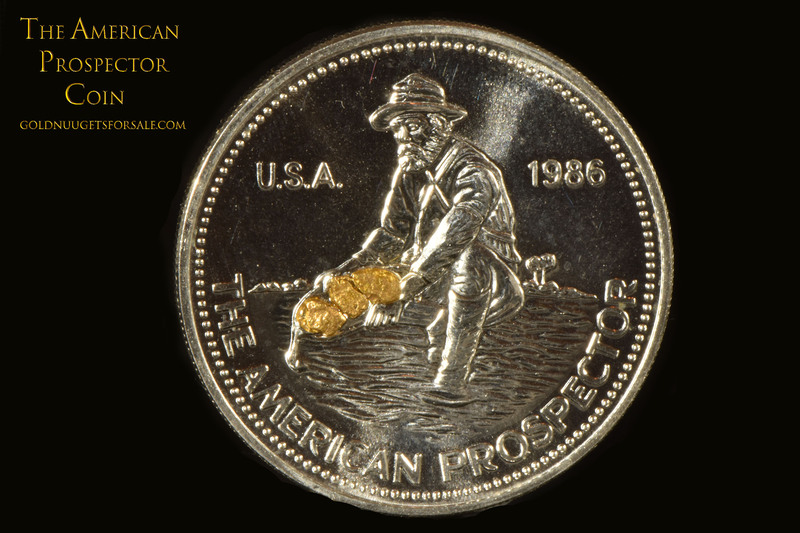 The American Prospector's gold pan contains 3 genuine gold nuggets from the rivers of the Yukon Territory in Canada. Since I use one photo for this item the actual gold nuggets in the coin you will receive will not be exactly identical to those shown in this photo, although they are from the same batch of nuggets and are approximately the same size.